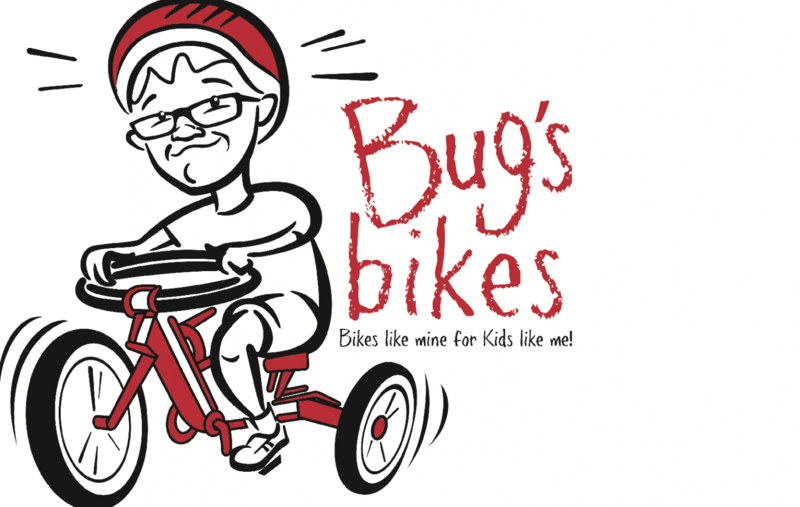 Bug’s Bikes is the brain child of our 5 year old who we warmly refer to as Bug. Bug is Visually impaired with High Functioning Autism and medical complexities. Bug’s Bikes in many respects is really HIS Non-Profit Corporation, unfortunately in Massachusetts he is too young for it to be officially so… So Mom and Dad are helping him out a bit! After finishing his second day of Adaptive Bike Camp he realized he was the only child taking his bike home everyday and that made him very sad. He was adamant that all the kids should be able to bring their bikes home. Of course he had no idea what went into getting his own bike or the funding necessary for some of these children to get their own bikes. The adaptations are there to allow these children to ride despite physical disability or lack of agility but the cost of these bikes makes it prohibitive for most families like ours. Funding is out of reach for most middle class families. So out of Bug’s sadness and the heartwarming joy it brought my husband and I watching these children riding these bikes… Bug’s Bikes was born! 1) to provide financial assistance through fundraising, grants and solicitation of donations for the sole purpose of purchasing adaptive and therapeutic bicycles, helmets and other accessories for children with special needs; 2) to provide educational resources and information necessary for families and therapists to assist with determining the appropriate type and size of bicycle for each child; and 3) to receive, administer and distribute funds in connection with any activities related to the above purposes.